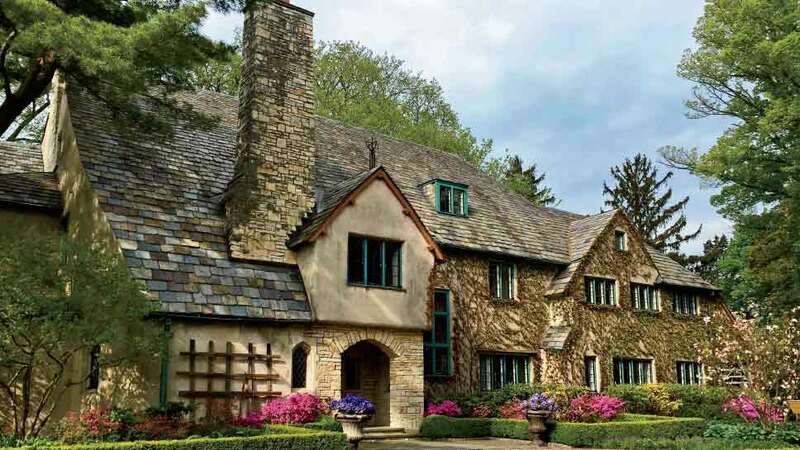 Lake Forest resident Katie Ford never dreamed she’d be waking up inside architect Howard Van Doren Shaw’s Historic Preservation Award-winning English country estate. But planning a show house is a lot of work, and one day earlier this year, while working one of her volunteer shifts, Ford lay down for a rest on a narrow, pillowed bench next to the great room fireplace. 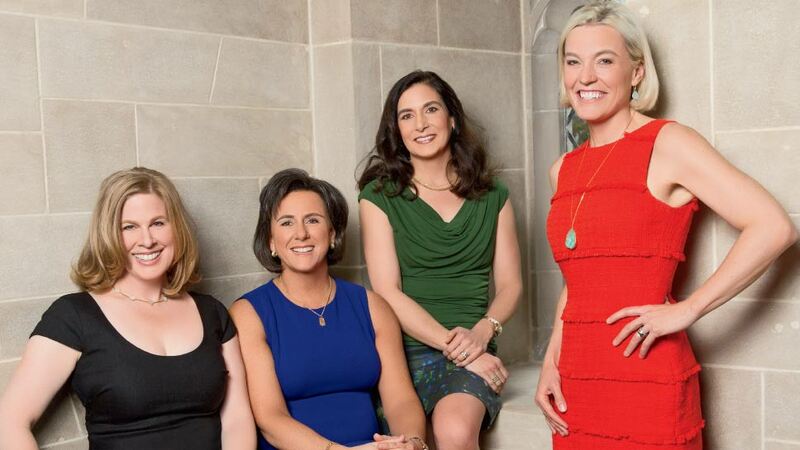 Since last summer, Ford and co-chairs Sara Pickus, Sue Slaughter, and Elizabeth Nemickas have been organizing, strategizing, and delegating tasks involved in putting together one of the most highly regarded show houses in the country. Committees were formed. Dates were chosen. Fundraising commenced. And amidst it all came the great “ask” of everyone they knew, whether it be for a donation or a connection to that next person who could make it all happen. Nemickas says the best way to explain it is to compare it to a puzzle. Once a house is selected, the rooms must be inventoried and assigned to a designer. This year’s Lake Forest Showhouse & Gardens will open April 29 and remain open for tours seven days a week until May 21. More than 30 interior and landscape designers have been selected to transform the historic east Lake Forest estate—which includes designing most of the rooms in the five bedroom, five-and-a-half bath main house and coach house, as well as several outdoor patio and garden areas. A series of special events are planned to go along with the show house tours, including some at private homes. Internationally-known interior designer Mark D. Sikes will lecture and sign copies of his new book, Beautiful: All-American Decorating and Timeless Style, on Sunday, April 30. Tickets to that event are $135 per person, which includes a tour of the house and its grounds and a copy of the book. All proceeds of the biennial event benefit IWS, an organization that provides an array of services to children, women, and men of Chicago’s working poor via its Logan Square clinic. In the end, the co-chairs agree that what matters most is the result of the work they are doing—helping babies and building families. 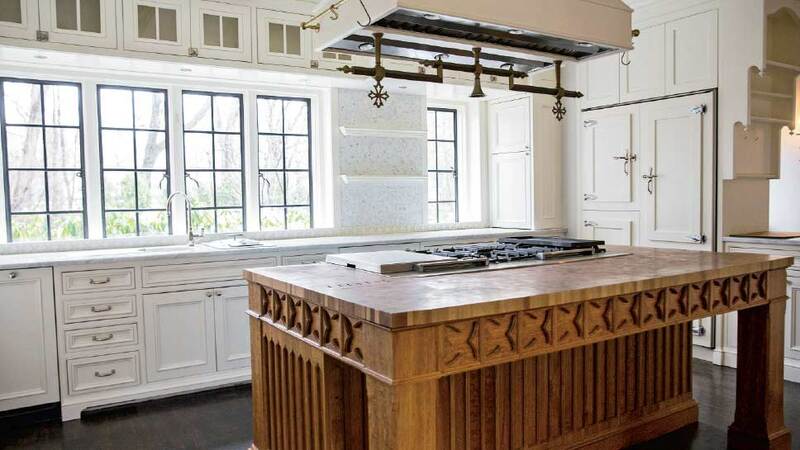 The show house event is held biennially since 1985, and has included some of the grandest estates in Lake Forest. Every event has its own story to tell, ones that the co-chairs know better than anyone. As Ford explains, this is about more than just putting together a pretty house to tour. It’s about continuing a legacy. For tickets and more information about the 17th Biennial Lake Forest Show House & Gardens, visit lakeforestshowhouse.com. The show house kitchen, waiting to be transformed. The 2017 Lake Forest Showhouse & Gardens is this 1922 English country estate designed by legendary architect Howard Van Doren Shaw.